𝑩𝒖𝒔𝒊𝒏𝒆𝒔𝒔 𝒊𝒅𝒆𝒂 𝒅𝒆𝒗𝒆𝒍𝒐𝒑𝒎𝒆𝒏𝒕 𝒑𝒓𝒐𝒈𝒓𝒂𝒎 𝑺𝑻𝑨𝑹𝑻𝑬𝑹 𝒔𝒕𝒂𝒓𝒕𝒔 𝒂𝒈𝒂𝒊𝒏! 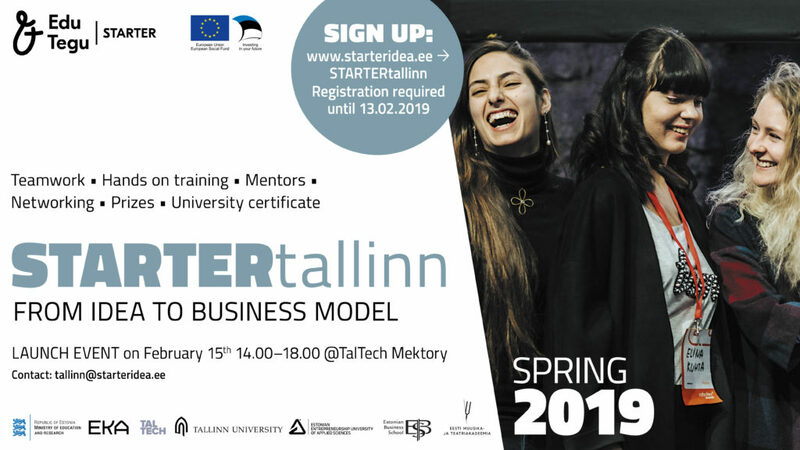 From Spring 2019 STARTERtech and STARTERcreative are joined to one STARTERtallinn program! The Launch Event takes place on Friday on the 15th of February, 2019 at 14.00-18:00 @TalTech MEKTORY. The aim of this event is to give participants inspiration and information on different business areas so that they will be able to form teams and generate ideas they will be developing over the following 3 months. The Launch Event is open to all student (university, vocational and high schools) teams as well as people who’d like to join a team! Should you have your own idea and team or you a looking for team members, come and introduce your idea to others. The Launch Event starts with inspirational speeches on different fields of life: from creative industries to circular economy, from urban space to future media, from health-tech to future education. This will be followed by idea generation excercises. More detailed timetable will follow soon. Already on Monday on the 18th of February at 17:00 the Team Formation and Development Workshop follows. 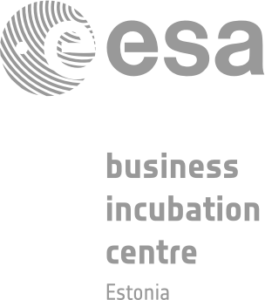 Business idea development program STARTERtallinn teaches you everything you need to know about starting your own business. We will help you with basic skills from business development, creating a successful team, marketing, sales, pitching, onepager etc. to defining a viable business model. 𝑹𝒆𝒈𝒊𝒔𝒕𝒓𝒂𝒕𝒊𝒐𝒏 𝒊𝒔 𝒂𝒍𝒓𝒆𝒂𝒅𝒚 𝒐𝒑𝒆𝒏: 𝒔𝒕𝒂𝒓𝒕𝒆𝒓𝒊𝒅𝒆𝒂.𝒆𝒆 -> 𝒔𝒆𝒍𝒆𝒄𝒕 𝑺𝑻𝑨𝑹𝑻𝑬𝑹𝒕𝒂𝒍𝒍𝒊𝒏𝒏 𝒘𝒉𝒊𝒍𝒆 𝒔𝒊𝒈𝒏𝒊𝒏𝒈 𝒖𝒑.